Based on the old nursery rhyme, this fun to make felt photo frame will truly accommodate all those children. 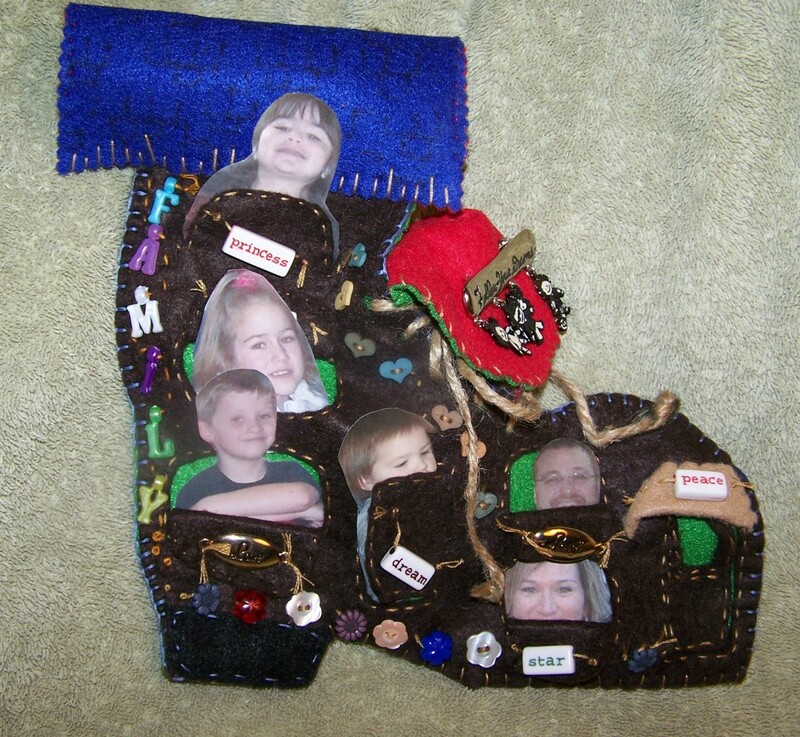 This is a guide about making an "Old woman who lived in a shoe" photo frame. A fun project for Mother's Day to display photos and then the kids to play with later. Read through the directions before starting your shoe as there are several options. Feel free to decorate yours as you want. 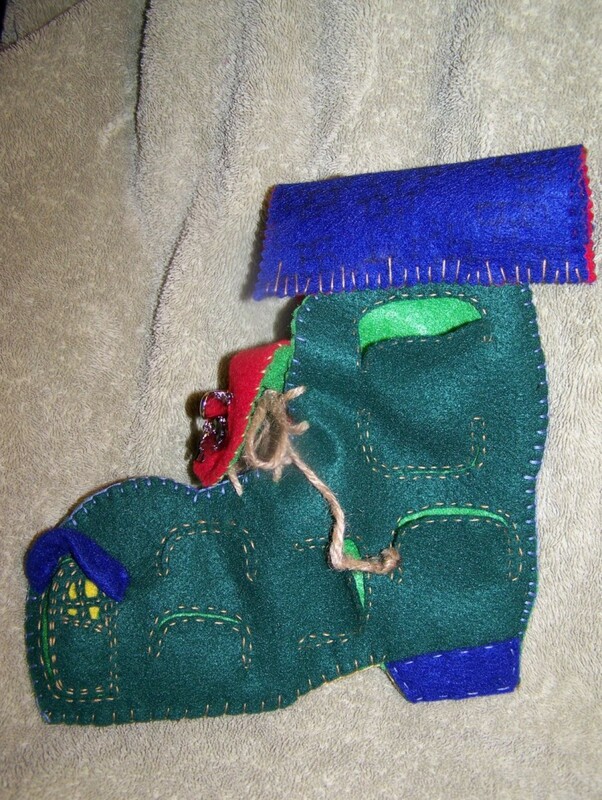 Print out the shoe pattern or draw your own of course, make one from each full felt sheet. 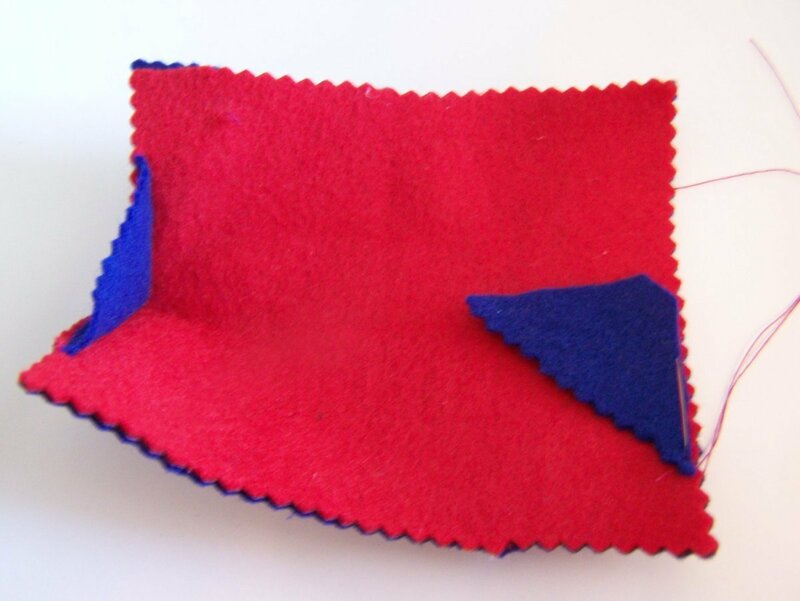 Use a blanket stitch to join the felt pieces. From your two outer sheets mark your "doors" with a marker that is removable then do a running stitch along both sides of this line 1/4 inch apart. You will then cut on the line making your "door" able to open. As you will see on the pattern I made my doors opening from all directions. Make sure they are around 1/2 inch from the edges of your shoe and don't forget a real door somewhere. You can arrange your doors as you want and make as many as you want. You could put scenes of rooms behind the doors if you want. Print out pictures of rooms on your computer and glue them on the lining of your shoe. Look on the internet under nursery rhyme, old woman in the shoe, and you will get more ideas for what to put behind the doors if you want. 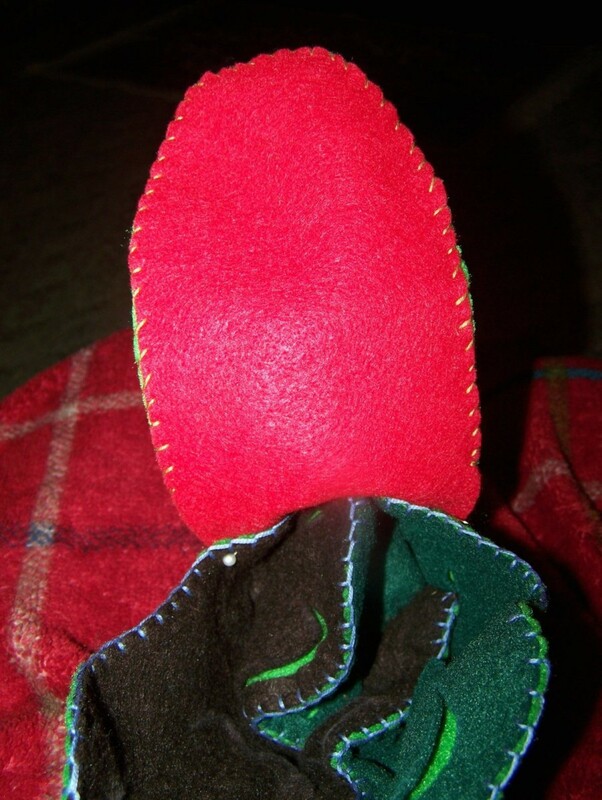 Once you have all of your decorating done on both sides, pin all four layers together from the toe up to where you want the tongue, go ahead and stitch this far, I used a blanket stitch. Stitch in place only catching the lining with your stitches. 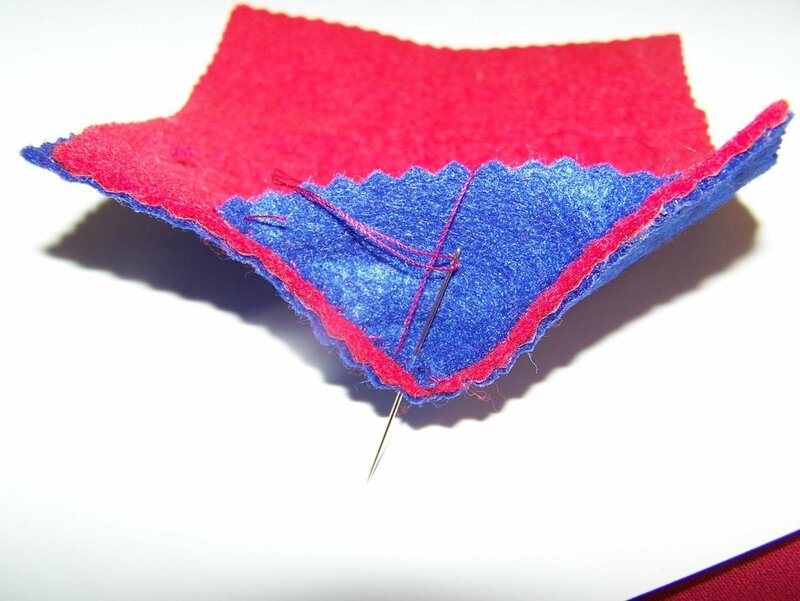 Go back to your starting place at the toe and continue across the sole and around the shoe up to the top at the back sewing the four layers together. 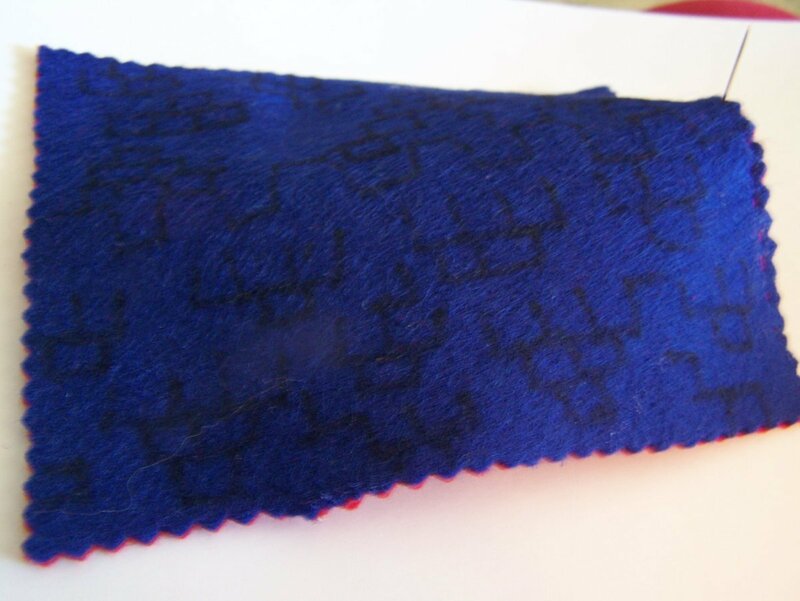 At the top back you will split the shoe leaving the lining separated so the shoe is open. Sew down and around one side to the point where you stopped to add the tongue and back to the top at the back where you divided the lining and tie off. Now you are ready to make your eyelets. I used my small scissors and pushed them through both layers after marking where I wanted them. I used jute for shoe laces, but regular short shoelaces would be really cute also. I didn't stitch around my eyelets, but it would be cute or you could use small grommets. Put in your laces and get ready to make your roof. Measure how wide you want you roof, after I finished mine I wish I would have made mine shorter so consider this before it is too late. You want it to be stiff enough to stand up so iron a piece of fusible web between your two layers. As in the photo draw on collections of shingles here and there. Feel free to stitch them if you like; it would really look cute, I used fabric markers instead. Cut two triangles to fit in the ends approximately 2 inches on the long side and 1 1/4 inch at the peak, center them and sew them in. 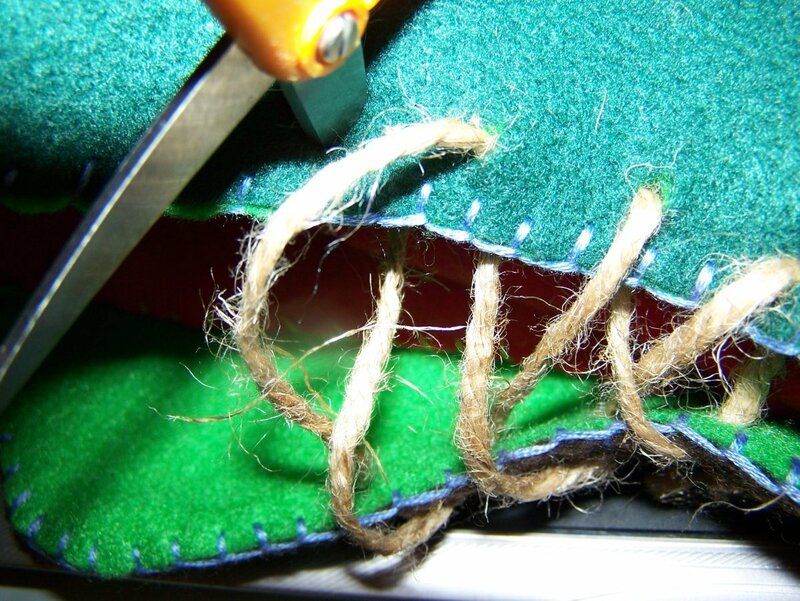 Once you are satisfied with your roof pin it in place then stitch it on using irregular blanket stitches catching your shoe. 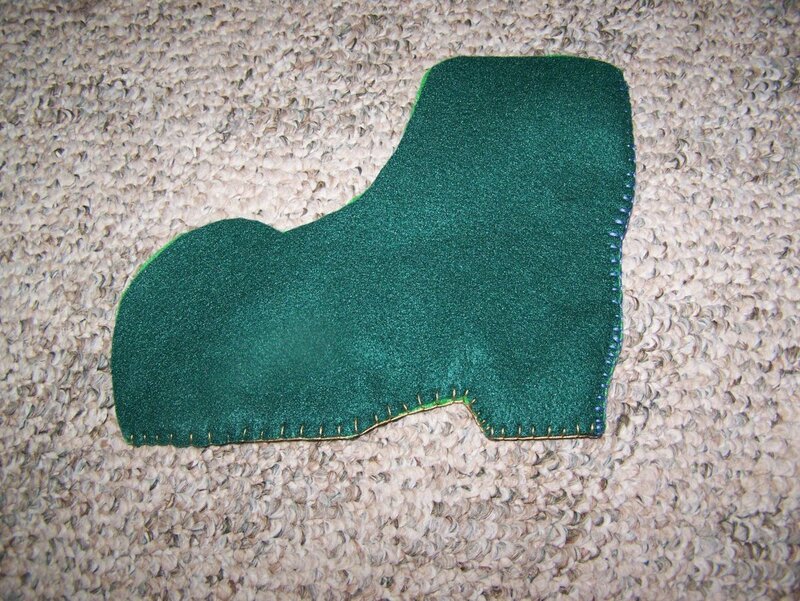 Cut a second layer of the heel and stitch it on with a running on both sides to accentuate it. I figure the kids will have fun playing with the shoe after Mother's Day so it serves a dual purpose.